Definitely still a trendy look, but Leighton Meester really caught everyone's attention at the Harry Winston Court of Jewels with this one from Marchesa. The outrageous back could only be complete with the cutest sphere clutch, ready to hit the jaws of those who would dare to wonder for more than 5 seconds about the existence of skin colored underwear… For the Gotham Independent Film Award, Leighton took a step back in fierceness, suiting up for the occasion. But Barney from the tv show How I met your mother would have a tough time choosing what look works best. 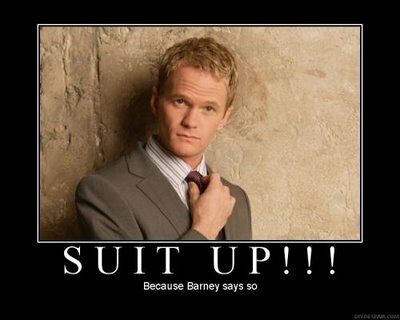 To suit or not to suit up, Barney?